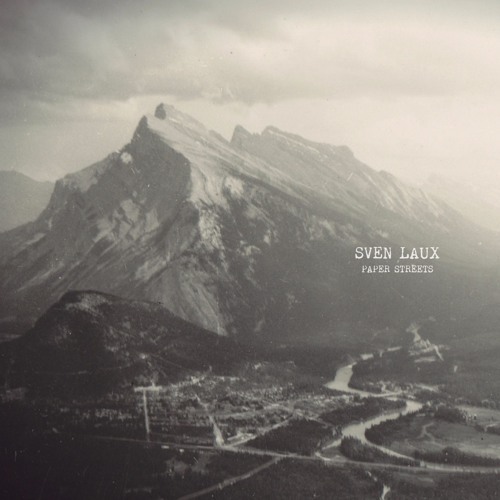 taken from upcoming DR-49 : Sven Laux - Paper Streets out on November 3rd, 2017 Pre-order : dronarivm.bandcamp.com Sven Laux’s “Paper Streets” is a deeply intimate and vulnerable affair. Released on the Russian label Dronarivm, Sven paints minimal landscapes with watercolors in shades of violin, cello & piano; stripped bare & soaked in memory. The artist’s works bares a sense of detachment & reflection that usually occurs with the passing of time. Forlorn irony shows itself as it reminds you what feels like to fall in love for the first time, while conjuring ghosts from the last time you shared a gaze. A departure from the Sven’s earlier work, “Paper Streets” is an organic, neo-classical journey heard through a cinematic lens. Orchestral notes surge like tides and resonate like heartache. Nostalgia echoes and dissolves with a disarming vulnerability. So pieceful. so harmonious. so good.